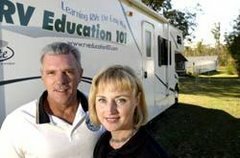 Preventive Maintenance (PM) is maintenance the owner can perform on your RV before a problem exists. These checks are designed to prevent or identify potential problems that could lead to mechanical breakdown, malfunction or failure of a component or system on your RV. Preventive Maintenance consists of cleaning, inspecting, lubricating, adjusting and servicing your RV. Here are some PM checks you can perform on a typical RV generator. In addition to these checks you should always follow the maintenance schedule and guidelines that came with your specific generator set. Note: These PM checks are for a gasoline fueled generator. There are diesel propane fueled generators too. Some of these checks apply to all types, but some don’t. Consult your generator owner’s manual for maintenance checks and services for your specific generator. 1) Always check the oil level and the exhaust system prior to starting the generator. Starting and running a generator that is low on oil can result in costly damage to the generator’s engine. Add oil as required. Check your owner manual for the type of oil to use. A damaged exhaust system can result in carbon monoxide gas getting inside the RV. Always inspect the entire generator exhaust system prior to starting the generator. Never operate a generator with a damaged exhaust system! 2)Keep the generator set and the compartment it is housed in clean. You can use compressed air to assist in cleaning out the generator compartment and a clean shop rag to clean the generator set. While you are cleaning the generator check all electrical connectors for secure connections. 3)Check all of the filters on the generator. A typical generator may have an air filter, fuel filter and oil filter. Check your generator owner manual for the types of filters your generator has and where they are located. Maintenance checks and services for a generator are based on hours of operation. You need to monitor the hour meter on your generator set for all maintenance intervals. a)Check the air filter for cleanliness. You can remove it and inspect the fins on the back for signs of dirt or debris. You can tap the air filter on a flat surface to help remove some of the dirt and debris. Change a dirty filter, or change it at prescribed intervals. Inspect the air filter more often in dusty conditions. b)The fuel filter will typically be an in-line type filter. Over time it filters out and collects enough debris that it can interfere with the flow of fuel. Check and replace the fuel filter at prescribed intervals. c)We’ll talk about the oil filter in just a minute. 4)Change the oil and oil filter (if equipped). This is perhaps the most important PM Service you can perform on your generator to ensure years of reliable service. Change the oil and replace the oil filter at the recommended intervals. It’s really quite simple to do. Your generator owner’s manual will usually describe the steps to follow. If you don’t feel comfortable changing the oil and filter have an authorized RV service center do it for you. 5)Replace the spark plugs at recommended intervals. If you ever replaced the spark plugs in a vehicle you can replace the plugs in the generator, unless due to the constraints of the generator compartment you can’t access the spark plugs. 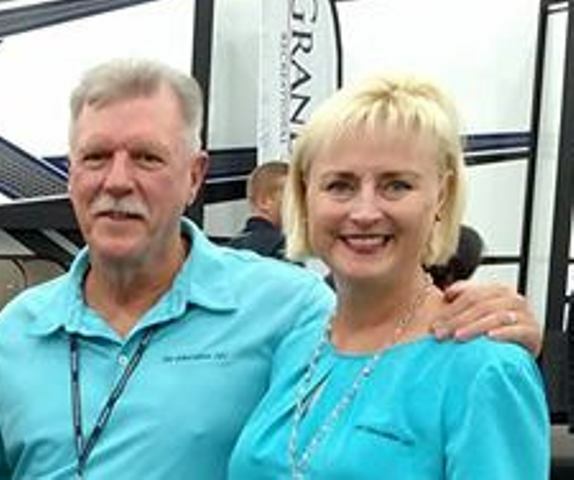 In this case you may want to let an authorized RV service center do it for you. If you decide to do it yourself check your generator owner manual for the correct type of plug to use and double check the spark plug gap before installing the plugs. Do not over tighten spark plugs! 6)Exercise the generator. There are several reasons why you should start and exercise the generator on a regular basis. Moisture build up can cause damage to your generator. When you exercise your generator it heats up the generator windings and eliminates this moisture build up. This monthly exercise regime also lubricates all of the engine seals and components and helps to prevent carbon build up. So, what exactly do I mean when I say exercise your generator? For a gasoline generator I mean that you start and run the generator with at least a 50 % load, for at least two hours every month. It is extremely important that you run it with this minimum rated load. Generators are designed to run with a load placed on them. It’s always better to let your generator run for longer time periods than it is for short time periods. Check your generator owner’s manual for load ratings specific to your unit. Always try to avoid starting or stopping a generator when there is a 120 volt device or appliance turned on. 7)Add a fuel stabilizer during periods of storage or non-use. If it’s a motorhome add a fuel stabilizer to the motorhomes gas tank and run the generator long enough for the stabilizer to get through the fuel system. This will help prevent gas related problems on carbureted generators, like not starting or surging. These are problems you don’t need. Fuel stabilizers can protect the fuel system for up to six months, but keep in mind the importance to exercise the generator when possible. Well there you have it. Follow these simple steps, and the maintenance and service instructions in the generator owner’s manual, and you can get years of reliable service from your generator set. A couple of additional tips for generator maintenance are to keep the battery that is used to start the generator maintained, and when running the generator monitor the AC voltage and frequency output with some type of digital plug in meter. I recommend one that can test campground polarity, measure AC line voltage and AC frequency. Frequency is the number of times that electricity alternates per second. U.S. appliances are designed to operate at 60 cycles per second, or 60 hertz. When you use your generator the governor in the generator must hold the speed constant at, or close to 60 hertz from no load on the generator to a full load. Depending on the load placed on the generator, AC voltage can range from 105 to 135 volts and the frequency can range from 58 to 63 hertz. Anything outside of these parameters can cause problems for your RV electrical system and/or generator set. The meter will let you know when the generator is not operating within the proper ranges and you can have it checked out and repaired before any damage occurs.